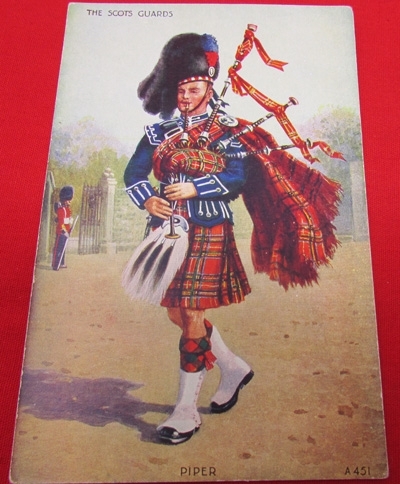 Item #47028 : Original era publication. 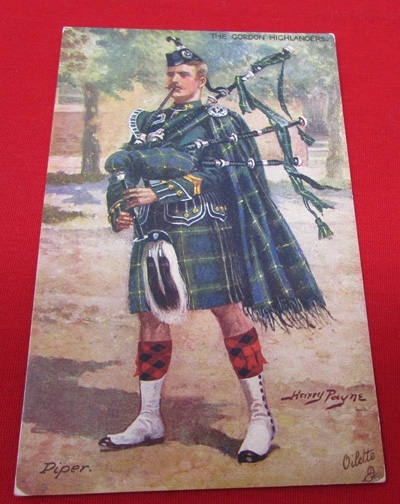 Three full color WWI era postcards, each depicting pipers from an assortment of Highland regiments. Normal handling and wear, none have been mailed. 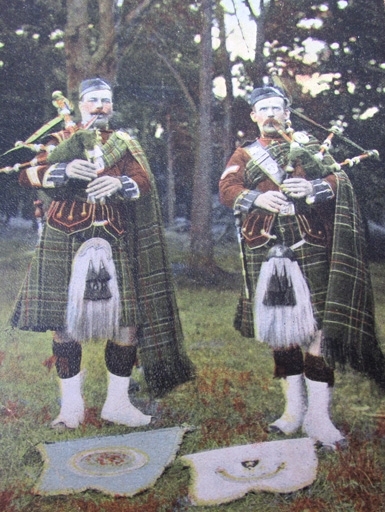 Crease in the lower left corner of the card with two pipers.